Quality material and exceptional craftsmanship make this trendy automatic watch a perfect pick for your casual wear. Its round dial comes with stick and Arabic time markers that ensure easy readability. Moreover, the crown that it comes with makes it all the more utilitarian. Uniquely designed, this automatic watch from Kenneth Cole New York collection will surely fetch you compliments for your choice. Kenneth Cole is an Amercian fashion label famous for its exclusive range of clothing, watches, bags, and shoes. Kenneth Cole designs, sources and markets a broad range of fashion footwear, handbags and apparel and, through license agreements, designs and markets apparel and accessories under its Kenneth Cole New York, Kenneth Cole Reaction, Unlisted and Gentle Souls brand names. 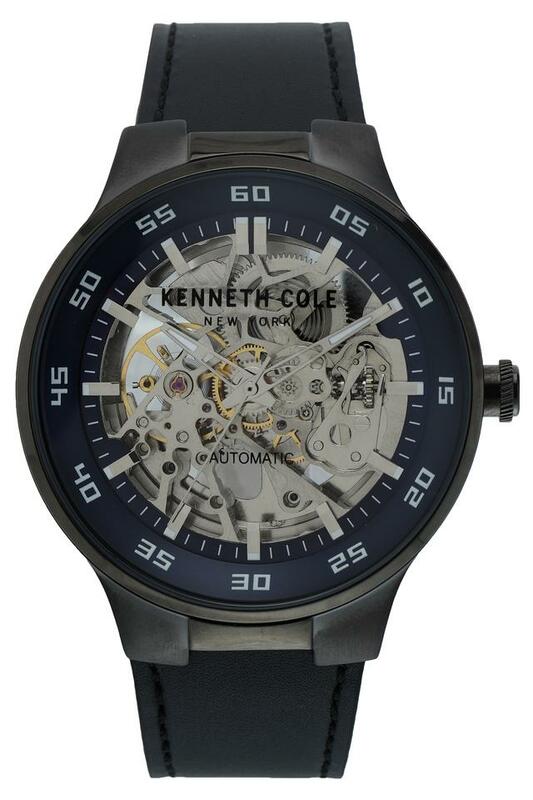 Its products are targeted to appeal to fashion conscious consumers, reflecting a modern metropolitan perspective and a lifestyle uniquely associated with Kenneth Cole.